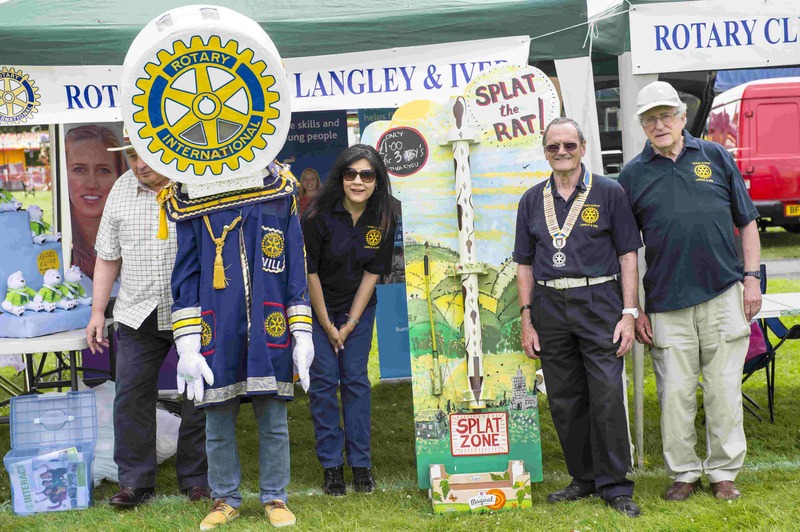 President Malcolm Granger with some of our members at the 2016 Langley Carnival. Our member with the large round head appears at some of our events. It's second time around as president for Malcolm, he did a fantastic job last time, we are all looking forward to being part of his team putting his endless ideas into action helping those less fortunate than ourselves. He expressed a wish that we support his nominated charities during his year. Thames Hospice Care. Alexander Devine and the carers charity Crossroads being three of them. Malcolm runs his own Photography business and will be known to many in the area.